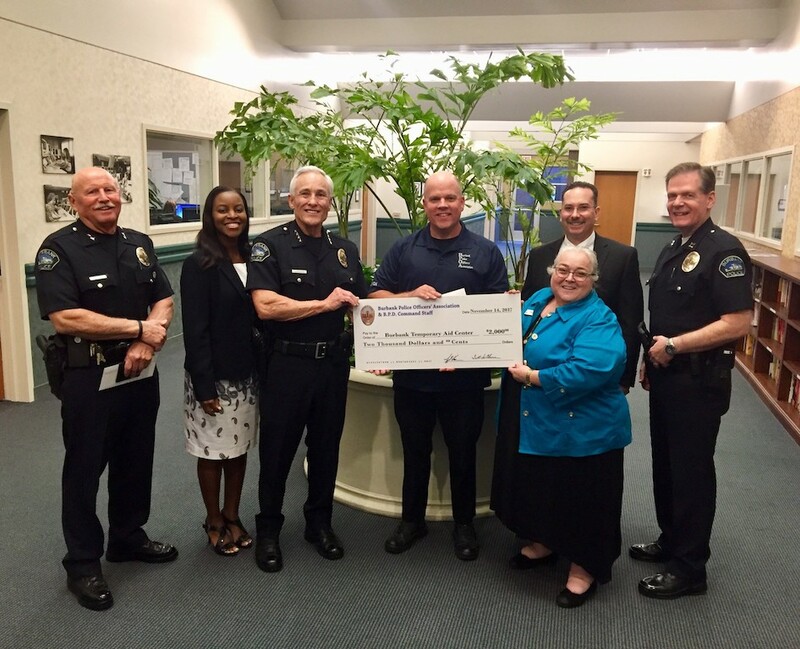 The Burbank Police Officers’ Association and Burbank Police Department command staff partnered once again to support the Burbank Temporary Aid Center’s mission to provide Thanksgiving meals to Community members in need. The joy of the holidays are accompanied by a sobering reminder of the many individuals and families struggling financially this season. It is our pleasure to give back to the Community we serve.